I looked in the fridge this morning and found leftover crabmeat from making crab cakes yesterday. 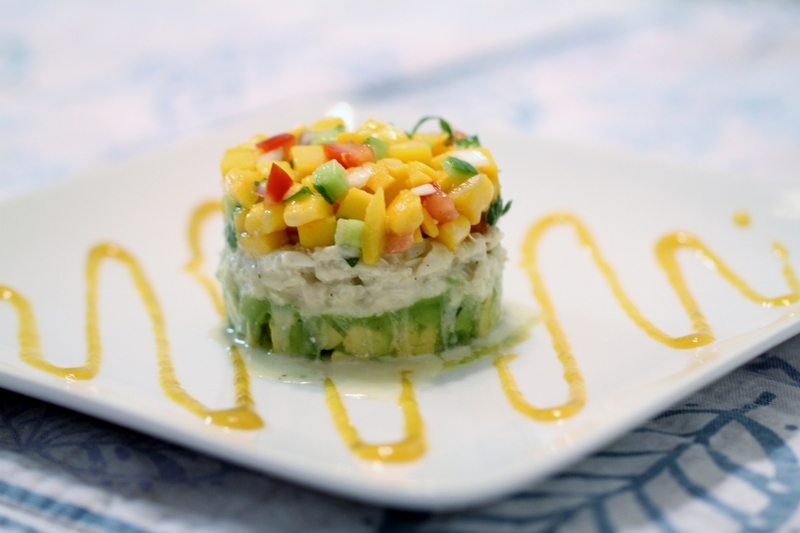 I also had mangoes and avocadoes and decided to combine all my favorite ingredients into something fun, a crab tower! 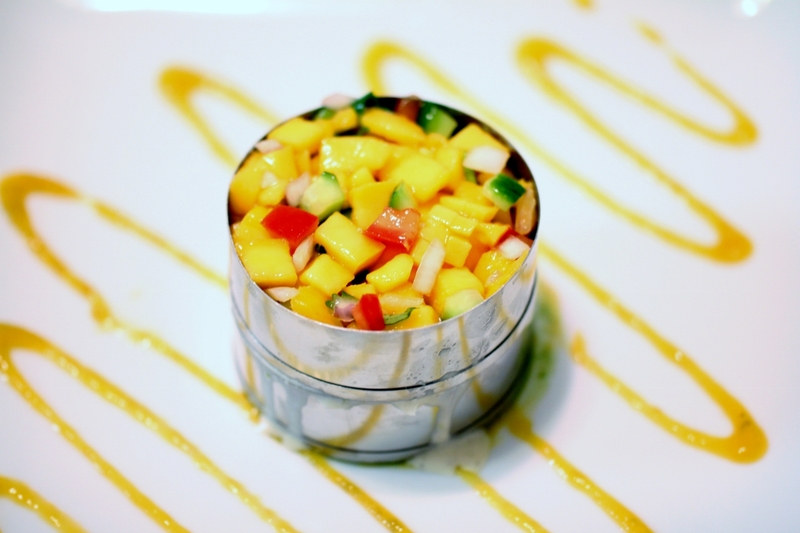 Many years ago, I watched an episode from America’s Test Kitchen featuring crab tower, consisting of crabmeat with avocado and gazpacho salsas and was inspired by the idea but forgot about it. Today’s the day to test it out. 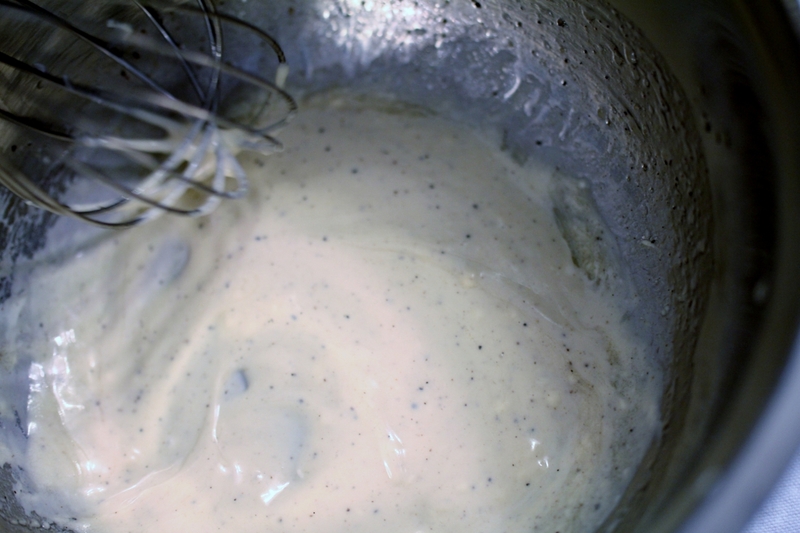 Whisk the olive oil, white wine, mustard, and mayonnaise in a small bowl. 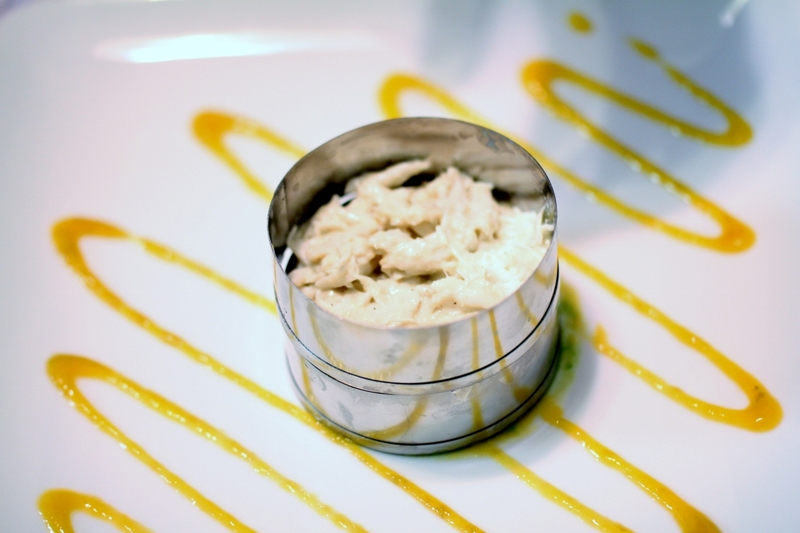 Add the crabmeat to the mayonnaise mixture and toss to coat. 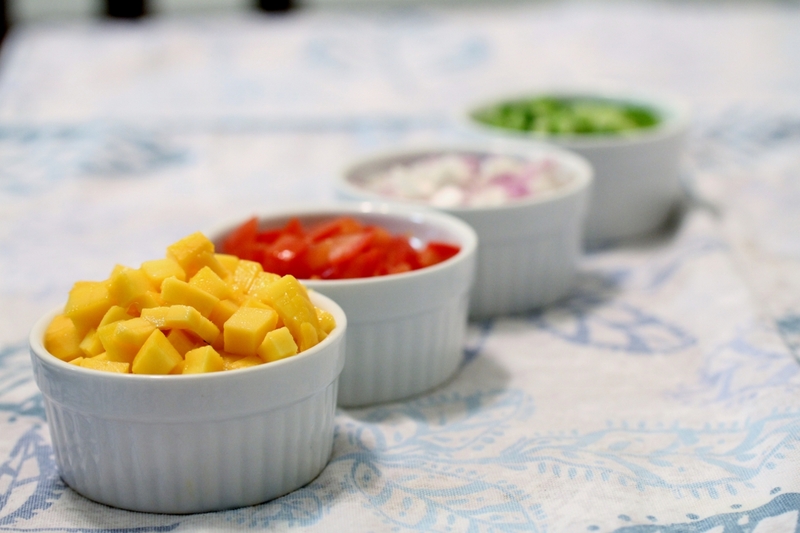 Combine the mango, cucumber, tomato, red onion, lime juice and cilantro leaves and mix well. Season with salt and pepper, to taste. 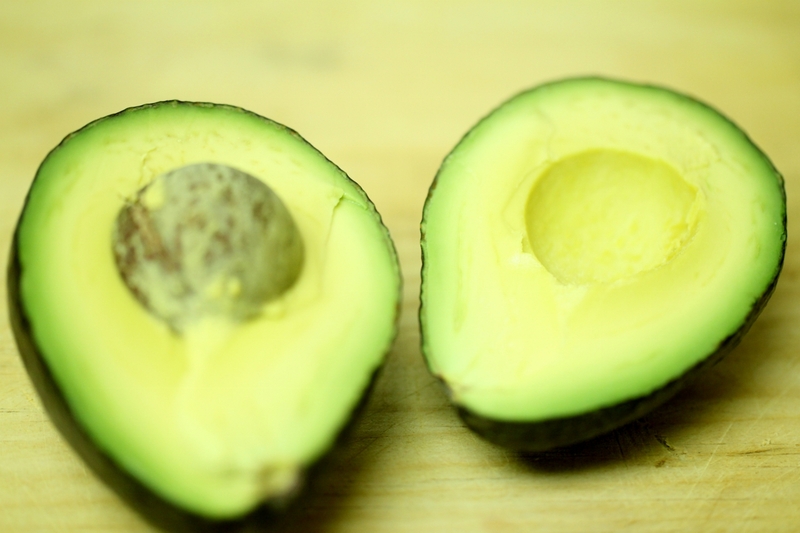 Toss the avocado, coriander, and lime juice in a medium bowl and set aside. Place a 3-inch-wide round biscuit cutter in the center of an individual plate. 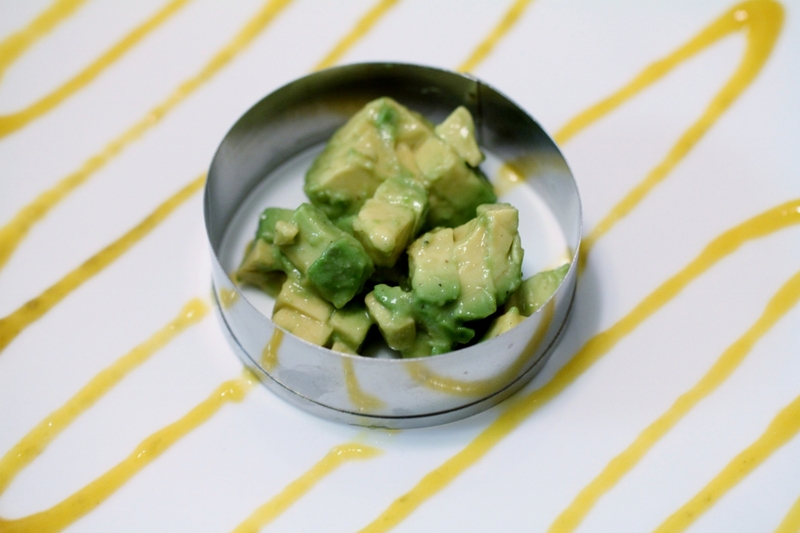 Press 1/4 cup of the Avocado Salsa into the bottom of the cutter using the back of a spoon. 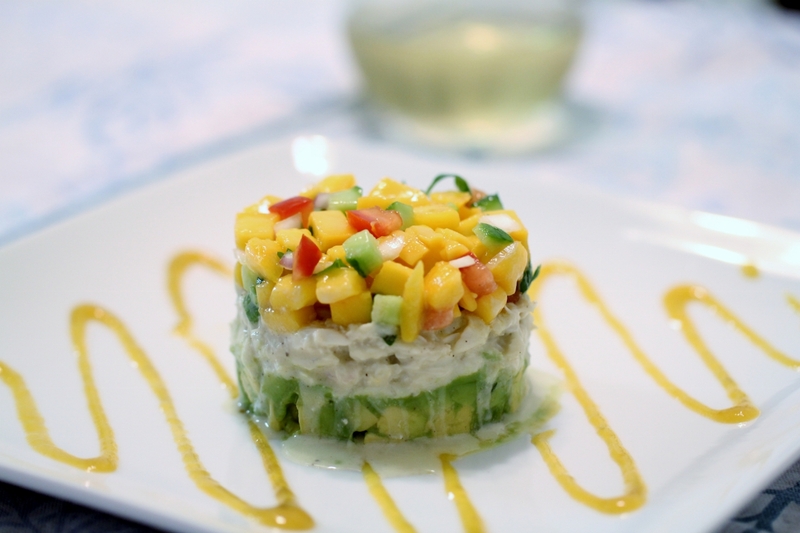 Stack a second cutter on top of the first one and press1/4 cup of the crabmeat on top of the avocado. 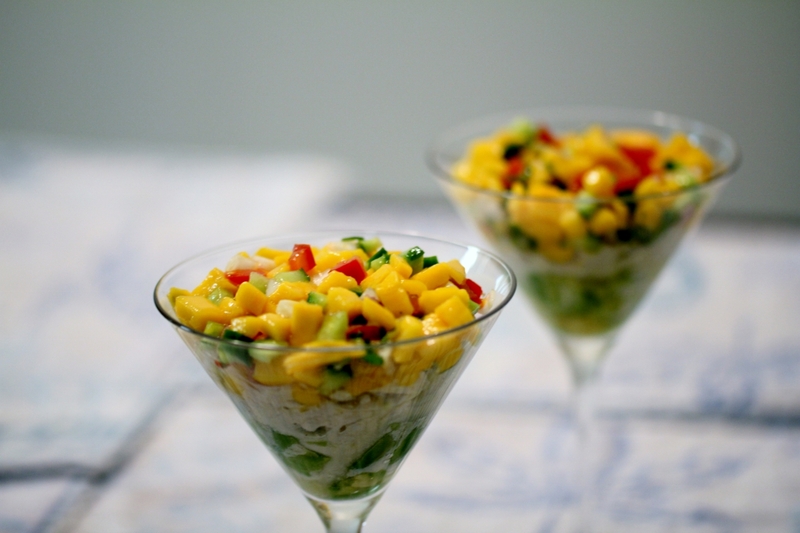 Press 1/4 cup of the Mango Salsa evenly on top of the crabmeat. Gently lift the cutters up and away from the plate to reveal the crab tower. You can also serve your crab tower in a martini glass, much easier to put together compared to the tower. This appetizer pairs well with tortilla chips.